Urbaser participated as a collaborating company in this race that brought together more than 2,700 participants united by a good cause. 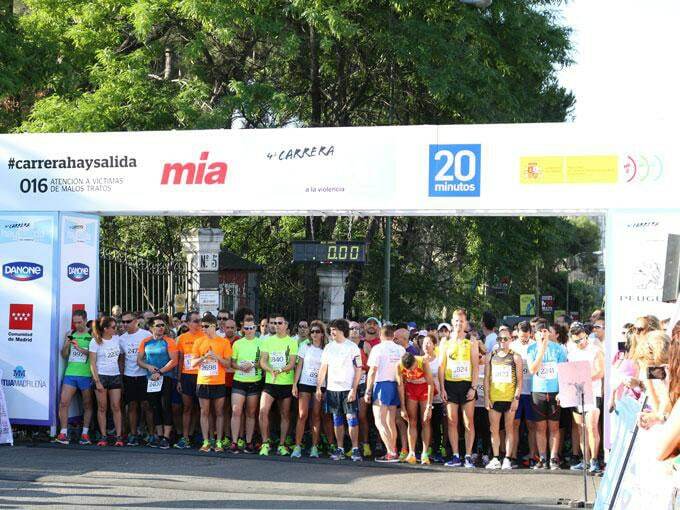 On 11 June, the fourth edition of the “Hay Salida” solidarity race was held in Madrid’s El Retiro Park. A sporting event that brought together runners and important personalities to fight for a gender-violence- free society. Urbaser wanted to contribute to this cause and joined as a collaborating company along with the two organisers: Mía magazine and the newspaper 20 Minutos. 2,700 runners joined forces to launch a clear message to the world: “Say no to gender violence”. Everything ready by 9 a.m. The event began at 9:00 a.m. with the symbolic launch of balloons in homage to the victims and speeches by Mario Garcés Sanagustín, Secretary of State for Social Services and Equality, and Mª José Ordoñez Carbajal, Government Delegate for Gender Violence. 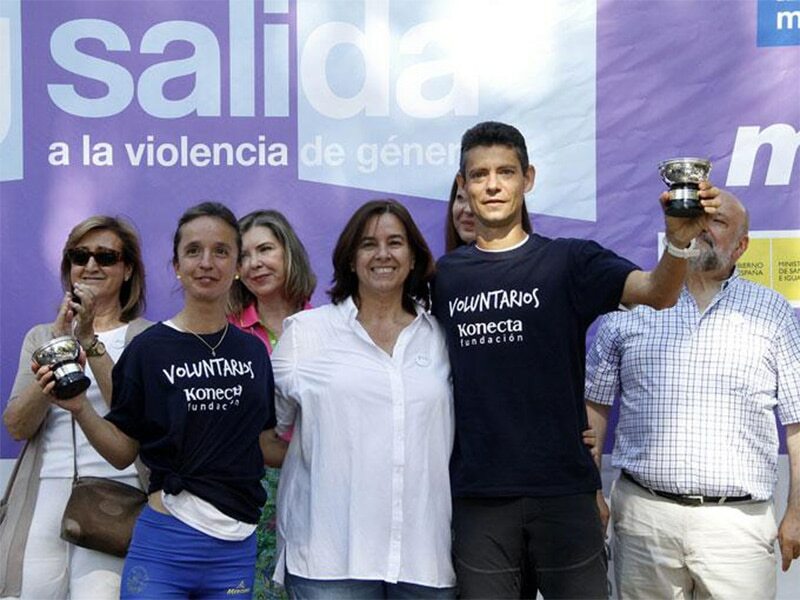 Pilar Fernández (Konecta) and Noelia García (Urbaser), first and second place in the All-female category. The speeches were followed by the race itself, with Miguel Angel Gil Rodriguez as the winner, reaching the finish line in 15 minutes 33 seconds. Pilar Fernández Rodríguez was the first woman to finish the race, in a time of 17:53. 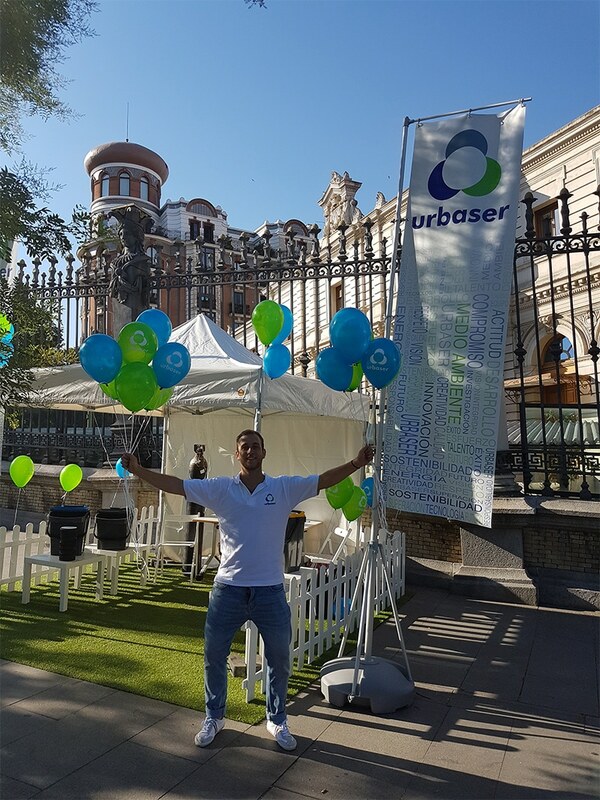 Urbaser participated in the event with activities intended to entertain as well as raise awareness about recycling and the environment, both before and after the race. To this end, a space was created in which attendees enjoyed different games and prizes to learn how to separate waste at home.